Jared Unzipped: I Secretly Want a Walk-In Bathtub. I must admit... I secretly want a walk-in bathtub. No, I'm not retired. No, I do not have a physical handicap. And no, I do not have any grey hair. I envy those keen and clean silver-age scamps who get to enjoy their walk-in tubs free from harsh criticism. Sure, I might only be 32 years old, but I'll be darned if I haven't wanted a walk-in tub for years! These tubs are the epitome of comfort. You get to sit down in a jacuzzi-like enclosure and enjoy the warm water of a bath cresting at your shoulders. There are pulsating jets of water that shoot at you from every angle. Some tubs allow for you to inject special aromatherapy oils into the water. Others feature built-in radios and app-friendly programming. 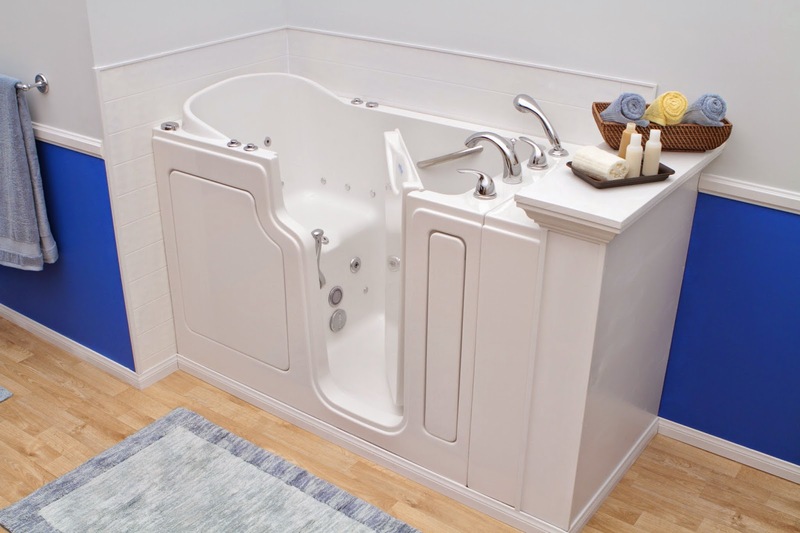 Everything about a walk-in tub is designed to provide the most relaxing experience possible. We've all seen the commercials for walk-in tubs on television. How many times have you awoken to an infomercial at 3 AM to see the ever-youthful Pat Boone trying to sell you one? I know I have! But, this is one of the very few instances where I actually have been sold on a product featured in a paid advertisement. It almost makes me eager to become a senior citizen! I've looked into the cost of owning a walk-in tub... and they vary wildly in price. Ultimately, one could expect to pay in the range of a few thousand dollars on up to $20,000 for the most advanced models. That's a pretty steep price to pay for some exquisite at-home comfort, but I hope to install one at some point in the future. Perhaps I could crowd-fund a walk-in tub for my home and write new articles from within it! I guess it's not a secret anymore! I agree with you that it would be nice to have one of these. Instead, look into a Jucuzzi hottub. Kathy and I have one and really enjoyed it when we had i going. It will be up and running in the near future. While visiting my in-laws this past month, we sat in my brother-in-laws hottub. His is situated outside in a very nice area overlooking the woods behind the house. It was big enough for 5 people and had all the bells and whistles. Some come with speakers and DVD televisions built right in. Mood lighting for those romantic times and waterfalls. Today, you can operate one for pennies a day and have use of it every time of the year. I once sat in one in the middle of the winter with snow falling. So cool. Just a thought.